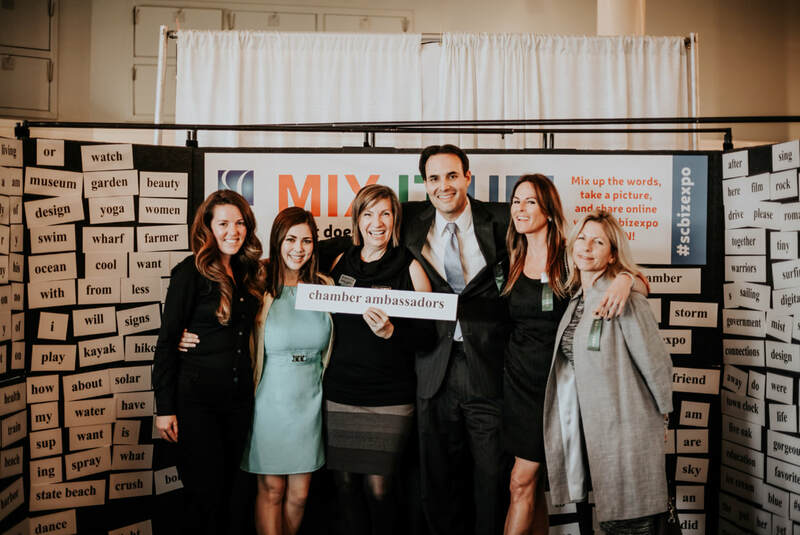 The Chamber Ambassadors are a team of Chamber members who volunteer to engage with new members, Chamber event participants, and the Santa Cruz Community on behalf of the Chamber. Ambassadors guide new members through the first year of membership and connect new members to the Chamber, its benefits and activities. Ambassadors also connect with current members, encouraging their active participation and robust use of opportunities the Chamber provides. And, the Ambassadors promote the business community and the Chamber throughout the community. Ambassadors meet as a team once a month and make a commitment to attend 50% of all Chamber events including Business after Hours, Ribbon Cuttings, Leadership Forum series, Chamber Luncheons, Membership luncheons, Breakfast Briefings and the Chamber's four annual major events. The greatest return for being an Ambassador is the development of a rich network of business friends and acquaintances that will pay returns for years to come. In addition, Ambassadors earn public recognition as well as the credits against the cost of Chamber events. Top performing Ambassadors are featured on a rotating basis on the Chamber’s website and in the Chamber’s weekly eNews mailings to members. Ambassadors earn credits for each scheduled communication with a member, each event they attend, and other services. Credits earned can be used towards not only events but also Chamber member marketing services, sponsorship, and products. Graduate of UC Santa Barbara with degree in economics and accounting. Served in the U.S. Army 8 years. Co-Founded F & M Engineering Construction, Inc. Owner, Partner, President, Executive V.P. of many travel organizations. Community Service: President Santa Cruz Jaycees, President Santa Cruz Area Chamber of Commerce, President Miss California Scholarship Pageant, Chairman Santa Cruz City Planning Commision, Chairman Animal Protection Institute, Chairman Advisory Board, Coast Commercial Bank, Chairman Board of Directors, Family Service Association, Board Director, Rotary Club of Santa Cruz, Served as political advanceman for Ronald Reagan. Delegate to the White House Conference on Small Business and Delegate to the first ever White House Conference on Travel and Tourism. Served as Congress Chairman for ASTA 61st World Travel Congress in Taipei,Taiwan. Duf just finished a two year term on the Santa Cruz County Sherrif's Advisory Team and most recently, has been invited to join Cabrillo College's Presidents Circle Committee which he began in September of 2018. Lora hails from the southland and is a native Californian. She grew up, the youngest of 6 kids, near the coastal community of Seal Beach. She arrived in Santa Cruz in 1979 to attend UC. While she was at the University, she met John in Solar Technology. They both graduated in 1981, which feels like yesterday, they got married the month after graduation and started in the insurance business shortly thereafter. They have been blessed to live and work in this beautiful area and raise their three awesome kids here. ​As an agent with Farmers Insurance, Will is working to continue and grow the family business, Allanson Insurance, started 35 years ago by his father John. With over 10 years of sales and customer service experience and a focus on providing an excellent customer experience, Will is excited to bring his talents and unique skill set back to his home town of Santa Cruz, California. Graduating from UC Berkeley with a BA in Philosophy and Religious Studies, Will is an open minded adventurer, helper of those in need, passionate about Hawaiian shirts, cowboy boots, and anything to do with the sea. Rod grew up on the east coast of England, and received a BA with honors in Business Studies from Sheffield University. He was recruited from Sheffield to play professional rugby in Spain. Under his captaincy F.C. Barcelona won two national championships. Rod met his wife, Kelly, in Barcelona and returned with her to her native California. While completing his masters in linguistics at San Jose State, California, Rod experienced first-hand the dire financial straits of many Californian schools and resolved to dedicate his marketing and production skills to a career in fundraising. In 1993 Rod founded First Class Fundraising, which from its inception specialized in producing large, motivational community-building events. From Pebble Beach to The San Francisco Giants’ AT&T Park, and from Tahema to Tesla Motors, he has been inspiring and delighting audiences ever since. ​In addition, Rod has been the Master of Ceremonies for hundreds of foundations and corporations, and, as a professional auctioneer, has raised over $25million for local and international non-profits. He also serves as a fundraising consultant for many organizations, representing every one of his cherished clients with integrity and expertise. Rod lives with his wife and their two daughters in Santa Cruz, California, where he is the Foundation Chair and Past-President of The Santa Cruz Sunrise Rotary Club. Jenny Hernandez has been the Sales & Catering Manager at Dream Inn Santa Cruz for nearly two years and has a background in event planning & catering operations. She graduated as a double major in Performance Arts and in Communications from San Jose State University and is a member of Sigma Chi Eta Honors Society, National Communication Association. She recently received an award for 2018 Manager of the Year from the Dream Inn and has actively volunteered for local environmental initiatives including beach cleanups with Save Our Shores. Jenny has been in Santa Cruz County for two years, a Chamber Member for one year, and is very excited to continue her journey with the Santa Cruz Chamber Ambassadors. After over a decade in media sales I was looking for a change and an opportunity for growth. I transitioned to the Pharmaceutical Industry in late 2015 and have never been happier. Have lived in the Santa Cruz area for over 25 years, after an adventurous decision to relocate from the East Coast. Graduated from UCSC with a BA in Economics. Have been a proud member of the Santa Cruz Area Chamber of Commerce since 2012. Have fallen in love the beaches, the redwoods and everything this county has to offer. When I am not working you can usually find me either swimming, cycling or running and loving every second of it. Matthew James is an attorney at Hopkins & Carley. Matt is an experienced civil litigator focusing on construction, real estate and general business matters. In addition, Matt counsels clients on transactional matters ranging from small residential and commercial projects to large scale public works claims. Matt has also been a licensed real estate broker since 2006. Josef Kachman is the Marketing Advisor at KION 5/46 - Telemundo 23 - Central Coast CW. Jodie T. Kench is the Membership Relations Director for the Santa Cruz Area Chamber of Commerce, responsible for planning and executing marketing, sales, and retention activities for Chamber membership and Chamber products and programs. By establishing credibility, trust and respect while developing new partnerships, she serves as the liaison between the Chamber and its members. ​Jodie directs planning, execution, and oversight of all aspects of Chamber Events including but not limited to monthly Business After Hours, Ribbon Cuttings and Grand Openings, and large scale events such as our Annual Recognition Gala, Leadership Forum, and County Business Expo. 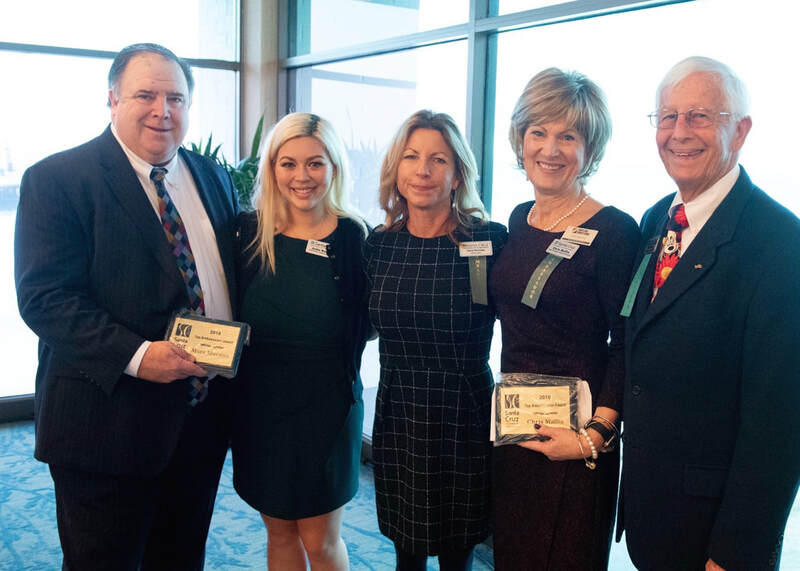 She also heads our Membership & Marketing committee and leads the Chamber’s Ambassador Program, a wonderful group of members who volunteer to guide new members through the first year of membership and connect new members to the Chamber, its benefits and activities. Jodie originally started working with the Chamber as its Public Relations Coordinator while attending the University of California, Santa Cruz where she earned her degrees in Psychology and Theater Arts. After graduation she was offered the opportunity of a lifetime to participate in a post-grad internship with the Walt Disney Company. But even that could not keep her away from NorCal as she was soon drawn back to the beautiful Santa Cruz County where she is grateful to call her home away from home. In her free time Jodie enjoys socializing, meeting new people, adventuring to new places, and playing competitive sports — especially, tennis, ping-pong and soccer. Sonia has a bachelor’s degree in business administration and finance, has worked for several Silicon Valley high-tech companies and in the venture capital world and now is a realtor at Keller Williams to work on your real estate needs. Having owned several houses and done long distance moves she has now settled on the central coast and calls Santa Cruz her home. Having personally remodeled her own houses, she was hands on from painting and plastering to decorating and landscaping. She has an eye like an interior/exterior designer and can assist you with the vision for houses that you are considering. Sonia can help you with work-life balance, choosing a place to retire to or find affordable housing that works within your budget either in Santa Cruz County or in Silicon Valley. She is multilingual, speaks French and some Spanish which makes her a good fit for working with modern multicultural families. Sonia is very active in the local community, assisted Santa Cruz by initiating and leading the Bicycle Friendly Community (BFC) application, inspired and assisted the city of Watsonville to become a BFC as well. She is mentoring as a Big Sister helping children thrive in life and can always be counted on for volunteering to make the local community more vibrant. Chris Maffia is Vice President, Relationship Manager for Santa Cruz County Bank where she is responsible for business and community development for the Santa Cruz market. In her background of over 33 years of banking, she has held a variety of positions starting as a teller with Bank of America and working her way through lending, and personalized banking positions with Premier Banking. In 2005, Chris retired from Bank of America as Senior Vice President, Market Manager for the Central Coast Premier Banking Team. Chris joined Santa Cruz County Bank in 2005 and has enjoyed working at the bank’s office in downtown Santa Cruz. Chris is currently the Board Chair for the American Red Cross of Santa Cruz County. She previously served as the Board of Trustees Chair for the United Way of Santa Cruz County for two years as well as the campaign chair. She is also a 15-year active member and past chair for Dominican Hospital Foundation Guild. Chris currently serves as the chair of the luncheon committee for the Santa Cruz Area Chamber of Commerce Women in Business. Marlena Munoz is a licensed Acupuncturist and Herbalist. She earned her Master’s Degree in Traditional Chinese Medicine from Five Branches University in 2001. She did her post graduate work in pain management, facial rejuvenation acupuncture, women’s disorders and five element theory. She also maintains specialties in digestive disorders, nutritional therapy, insomnia, anxiety and depression. She is a second generation healer. She has a deep passion for not only helping patients overcome existing conditions but assisting individuals in maintaining a healthy and thriving lifestyle. She would love to share her passion for the healing powers of acupuncture with you. As a Business Performance Advisor with Insperity, Inc., Marc works with small business in Santa Cruz County in the area “Workforce Optimization”. He helps companies control employee related costs while reducing or eliminating employer related risk. Companies using their unique business model are seeing a 5% to 10% growth in revenue per employee and find themselves with a very capable and engaged workforce. As a Bay Area resident for 15 years now, Marc enjoys coaching youth baseball, fishing, golf, and cooking. He graduated from the University of Southern California and is an avid college sports fan. Marc's motto is “Help small business thrive so that communities can prosper”. ​Kim is a California native who grew up in the Sacramento area and has lived in the bay area as well where she worked for The Sacramento Union, The San Francisco Chronicle, and the California Newspaper Publishers Association. While living throughout California, Kim and her family have always enjoyed vacations in Santa Cruz and she made it a personal goal to live here some day. Last December, Kim made the move to the 831 when she was offered a position at the Santa Cruz Sentinel as a multi media sales executive. Her strong point is digital marketing and she loves to find solutions to her clients’ often complex needs. In her free time, Kim loves golf, live music, San Francisco Giants baseball, San Francisco 49ers football, and Warriors bball. Growing up around the world, Adam has lived in Saudi Arabia, Austria, Singapore, Dubai, New Zealand, Nevada, Oregon, and California. ​After graduating from Cal Poly in 2009, Adam started working for Morris & Garritano Insurance and eventually transitioned into his role as a Risk Advisor. He has recently expanded the agency to Santa Cruz and has loved exploring everything his new home has to offer. His community involvement includes the San Luis Obispo Chamber of Commerce Ambassadors Committee, Leadership SLO Class XXIII, Team Rubicon, Big Brothers Big Sisters, Habitat for Humanity, CASA, and United Way. When he isn’t serving his clients, he is out enjoying one of his many hobbies- hiking, biking, rugby, climbing, CrossFit, spear fishing, camping, and reading. 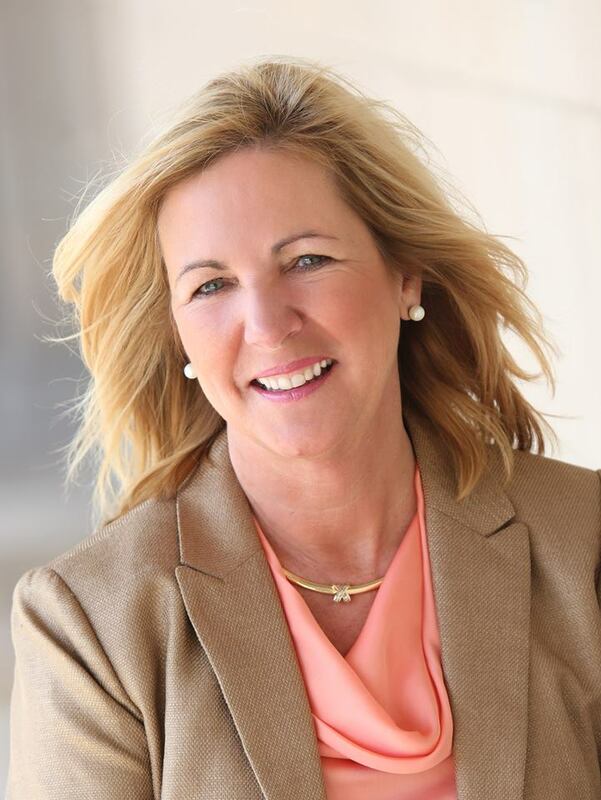 Beverly Ritchey is Director of Operations at David Lyng Real Estate where she oversees the office facilities at the company’s 8 office locations. She also manages several of the company's accounting operations including year-end reporting. Beverly previously owned and operated Santa Cruz Marine Company in Santa Cruz which included yacht sales, lessons and rentals, and owned the Yacht Harbor Café Restaurant. She has traveled internationally including spending several winters in the Sea of Cortez operating yacht charters. Beverly also worked for the President of Five Currents, a company producing Olympic ceremonies from London to Sochi and the continental games ceremonies from Toronto to Baku. Beverly is a long time resident of Santa Cruz County. In her spare time, she volunteers as an Ambassador for the Santa Cruz Area Chamber of Commerce and is an active member of the Santa Cruz United Way. Steve is President and Founder of Skotzke Consulting providing business, marketing and sales strategies and services for businesses of various sizes and industries. Services include: business development, project management, new product development, innovation, branding, commercialization, communications, digital and social media and more. He has over 20 years of Marketing Management experience, working in underwear to power tools to produce, generating millions in sales and profits for companies like Bolthouse Farms, Dole, Chiquita and Bosch. Originally from Wisconsin, he fled the frozen tundra (though still a big Packer fan) for the warmer climes of California and has been very proud and happy to call Santa Cruz County home since 2009. He has a BA in Psychology, a BBA in Marketing, an MBA and two patents. During his off hours he enjoys spending time with his wife and two kids, exploring the wonderful area, being at the beach or on the water, running and biking. David is a 25-year resident of Santa Cruz and a graduate of Santa Cruz High School. He attended UCLA earning degrees in Political Science and Urban and Regional Planning. He is a proud member of Think Local First, cherishes Santa Cruz's entrepreneurial spirit, and is an ardent champion of central coast business. He enjoys sports, outdoor recreation, and from Thanksgiving to New Years you can find him at Companion Bakery sipping egg nog lattes. David is a guest host on Community TV's Voices From The Village and is frequently quoted in local media offering insights on pressing civic issues. David currently serves as the Director of Marketing and Public Relations at Allterra Solar, Santa Cruz County's most frequently hired solar PV contractor. He encourages any homeowner paying more than $100 per month for electricity to call him immediately. Tom Stelling has been a licensed realtor and a trusted name in commercial and multi-family real estate sales, leasing, and management since 1984. In 2009, following a successful commercial real estate career at the largest commercial real estate brokerage company in North America, and 7 years with a local Santa Cruz brokerage, Tom joined KW Commercial, the most respected and fastest growing commercial real estate sales and leasing team in the United States. Tom is recognized as an expert in local real estate issues, and is quoted regularly in the Santa Cruz Sentinel newspaper and is seen on the Real Estate Weekly television program. He was recently interviewed for the NBC Nightly News Program as an expert on local commercial real estate trends. 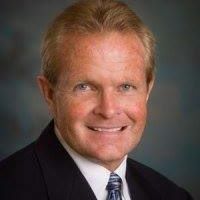 Tom is an active board member of the Santa Cruz Sunrise Rotary, the Santa Cruz Area Chamber of Commerce, is on the board of the Santa Cruz Area Chamber of Commerce, an active participant in leadership Santa Cruz, and an active Member of the Bay Area Apartment Brokers Forum. In his free time, Tom likes to surf, sail, jog and spend time with his two teenage children Tommy and Lizzy. Born at Sister's Hospital on West Cliff Drive, Adele Talmadge has been a Santa Cruzan all her life. Her parents owned Port O' Call Grocery in Pleasure Point. After attending Cabrillo College, Adele went on to gain over 30 years of bookkeeping and customer service experience in residential, commercial construction and property management. In 1984, she co-founded Talmadge Construction. Adele remains an active part in the community, volunteering for the Amgen Tour in 2010, directing the Lifestyle Festival for the Tour in Seaside and the Awards Ceremony for Tour of CA in 2012. Adele loves Tae Kwon Do, earning her First Degree black belt at the age of 50. 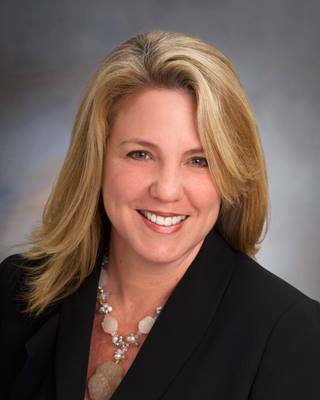 Misty Wenisch is the General Manager of the Four Points by Sheraton, Scotts Valley. She is a high-energy and motivated manager focused on promoting customer satisfaction through exceptional service. To learn more about the Chamber’s Ambassador program, please contact our Membership Relations Director, Jodie Kench, at 831-457-3713. Congratulations to the top three Ambassadors of 2018 for going above & beyond! Chamber Ambassadors having fun and representing at the Chamber Booth! Join us, March 13 for the 2019 county-wide Biz Expo! Looking for a fun way to interact with other Santa Cruz Area Chamber members? Become a Chamber Ambassador today! See photos of our previous events above.